Cream the butter and sugar until the mixture turns soft and pale. Add the eggs, vanilla extract and cocoa and mix well. Sift the flour, salt and baking powder into a separate bowl and mix well. Gradually add the flour mixture to the butter mixture and mix until smooth. To get it smooth I found it easiest to knead the dough by hand on the kitchen counter. Wrap in cling film and refrigerate for at least an hour. Cut the dough in half and roll out on a lightly floured counter to about 5mm thickness. Wrap and chill the other half of the dough to be made into cookies later. Place the base of a lightly greased springform tin on the rolled out dough and cut around it. 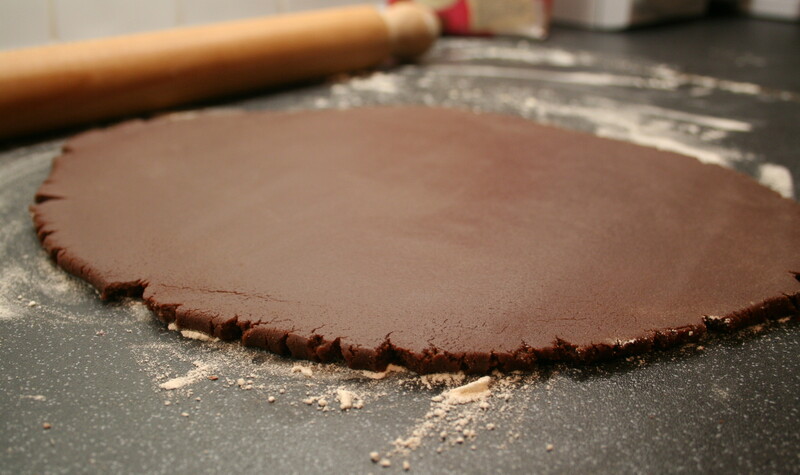 Assemble the springform tin and line the base of the it with the rolled out dough (I initially intended lining the base and sides of the tin with the chocolate brownie base – but it was unsuccessful and had to be abandoned as the dough was too brittle and shrank badly once baked). Prick several times with a fork and bake in a preheated oven at 180°C (160°C in a fan oven) for 10 minutes. It will puff up slightly and be soft to the touch. *Although I added the nuts, if I made this cake in future I probably wouldn’t add them again – purely down to personal taste. I think the nuts distract slightly from the other flavours. If however you’d like to include the nuts, toast them in a non-stick pan over a medium heat until golden brown. Allow to cool and chop roughly into halves or quarters. Sprinkle the chopped nuts over the chocolate brownie cake base. 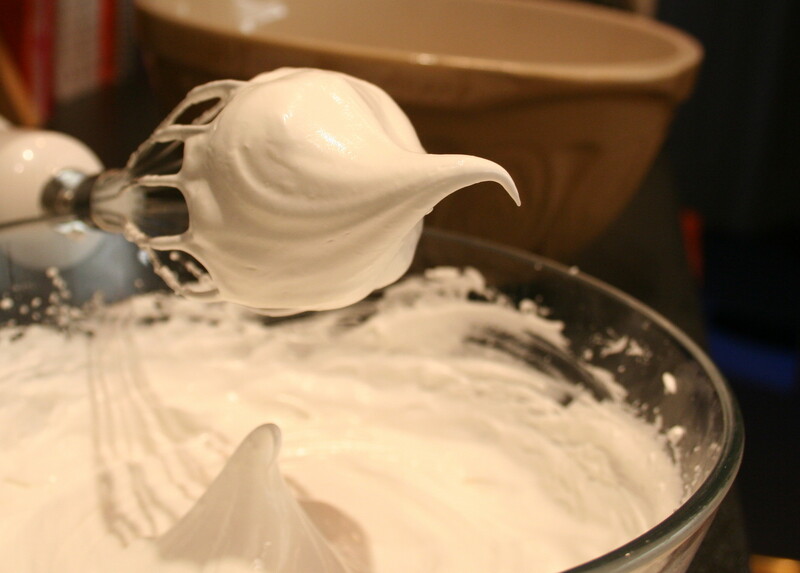 Using an electric mixer whisk the soft cream cheese and 75g of the castor sugar. Add the egg yolks one at time until thoroughly combined. Whisk in the crème fraiche. In a separate bowl with clean beaters whisk the egg whites until stiff. Gradually whisk in the remaining 100g castor sugar until the mixture is stiff and glossy. Add the meringue mixture to the cream cheese mixture and mix thoroughly. This can be done fairly vigorously – don’t worry about knocking the air out of it. Pour half the mixture into the springform tin, covering the chocolate brownie base and hazelnuts. 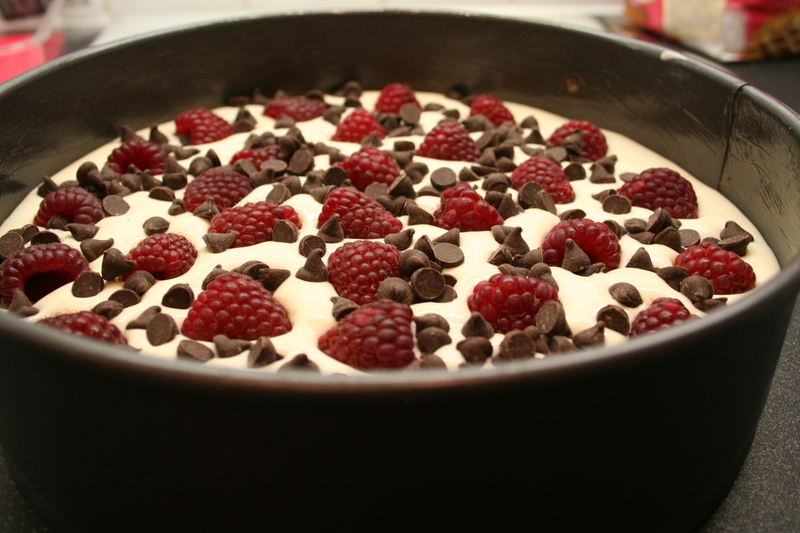 Sprinkle over half the raspberries and the chocolate chips. 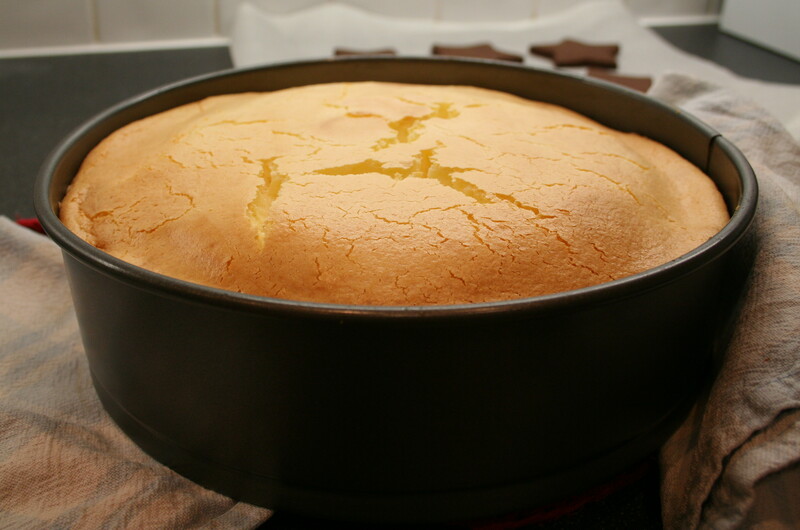 Pour over the remaining cheesecake mixture and bake in a preheated oven at 160°C (140°C in a fan oven) for 60 minutes. 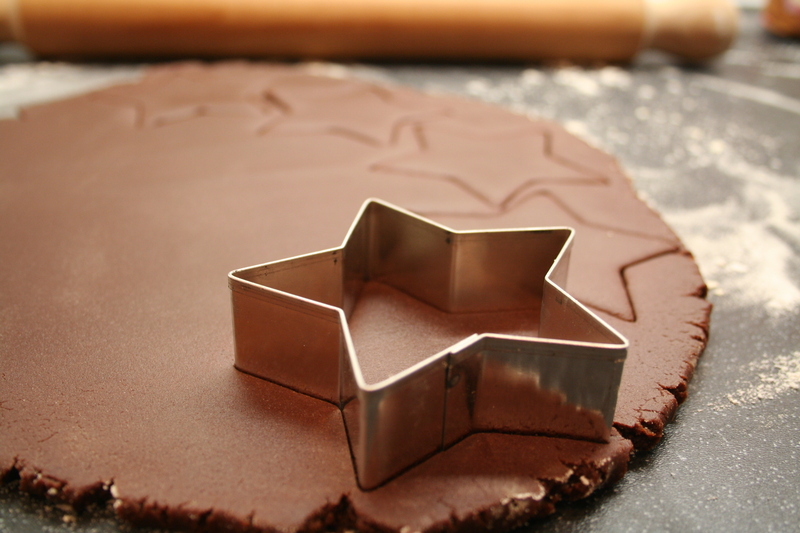 Allow to cool completely in the tin before carefully removing. 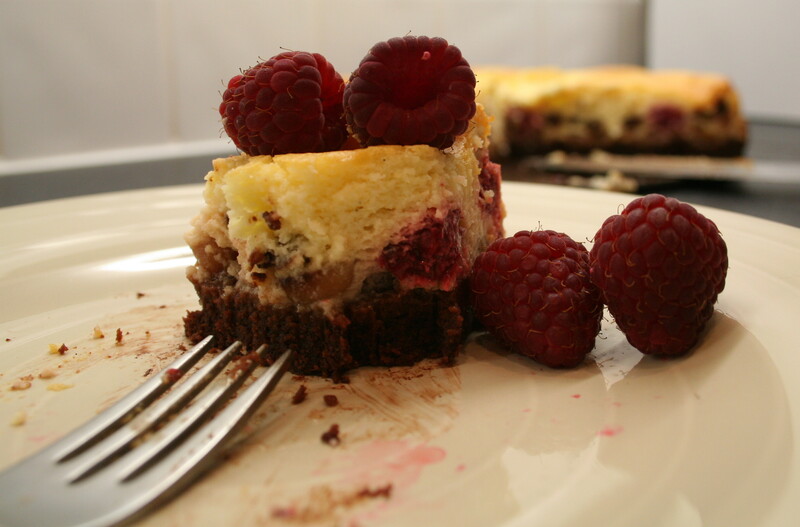 Serve with the remaining fresh raspberries and whipped cream if you dare. On a lightly floured surface roll out the remaining dough to about 10mm thickness. 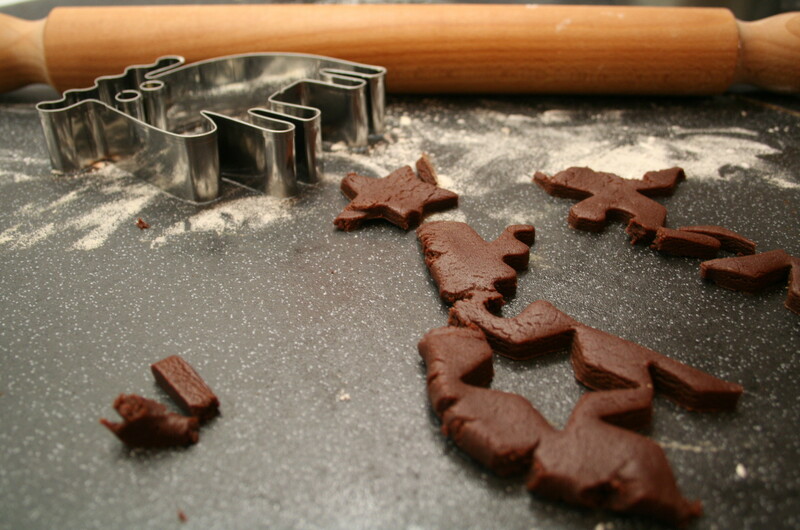 Using cookie cutters cut into desired shapes. 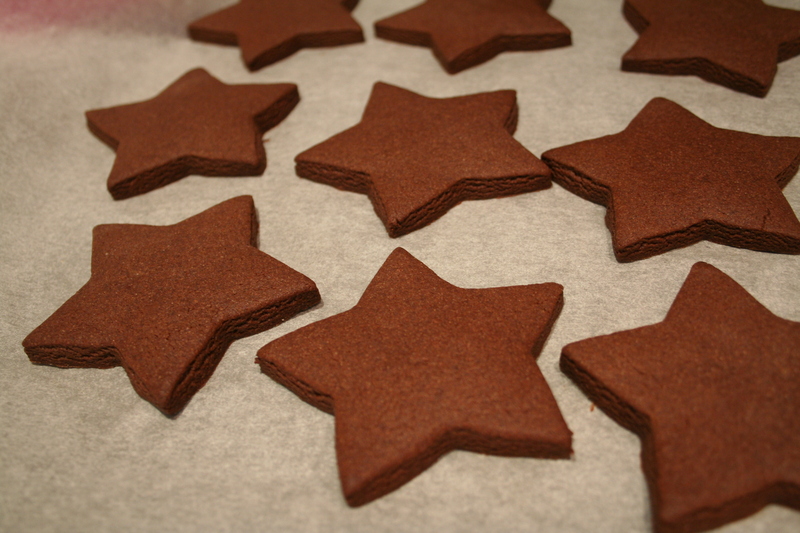 Place on a baking tray lined with baking paper and bake in a preheated oven at 180°C (160°C in a fan oven) for 10 minutes until the edges are firm and the centers are slightly soft and puffed. Allow to cool on a wire rack before serving. 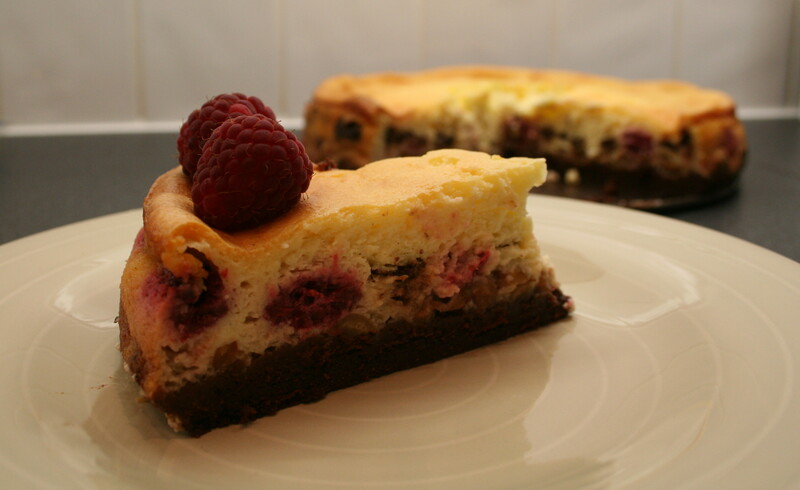 This entry was posted on Friday, August 19th, 2011 at 15:49	and tagged with brownie, cake; chocolate, cheesecake, raspberry and posted in biscuit, brownie, cheesecake. You can follow any responses to this entry through the RSS 2.0 feed. Amazing!!! You are truly wonder G.